"Who Else Wants To Become A Church Pianist Who Is Proficient In Playing And Arranging Great Old Beautiful Hymns?" L istening to hymn is such an uplifting activity, its inspirational. But have you ever been stumped, confused, or overwhelmed when it comes to playing from a hymn book? Do you feel that playing piano from a hymn book does not sound very exciting and may even be boring at times? Many of my friends have experienced the frustration of playing Christian hymn music from a hymn book. I have been a church pianist since 1990 and I have struggled with playing hymns also; I remember as if it was yesterday how badly I was shaking the first few times I ever played in church. I literally felt the butterflies in my stomach! So, don't feel bad if you get as nervous as I did! You are probably aware that Hymn books were written primarily for singers (it comes in 4 parts, SATB) and it was not designed for piano players in mind. If you play hymns as they are written, there is no way that they are going to sound great. So, if not from the hymn book, how are you to learn to play hymns that really sound alive? Many church pianist know which button to push when they play a particular hymn. Yet, you can rarely find a piano teacher who teaches others how to arrange hymns using piano chords. In fact many people have no clue how to make a hymn come come alive on piano. Throughout the years, I have found many techniques and short-cuts that have made my own hymn playing sound beautiful and exciting. Many of my friends and students have asked me to design a course to help those who would like to improve on their hymn playing and become better church pianists. After months of preparation, this course is finally ready. It contains years of learning from my own experience serving as a church pianist. It will drastically cut down your learning curve and better equip you to be a great player. This will literally change the way you play hymn. Now You Too Can Be A Better Hymn Player! 4 DVDs (a total of 6 hours) and one 50-page binder. Modulation & Transposition - ever get stuck trying to modulate a hymn from one key to another? This is the perfect lesson to prepare you. Musical Turn Around 1 - learn how you can make any hymn sound interesting and refreshing everytime you introduce the turn around techniques. Musical Turn Around 2 - more turn around techniques to surprise your audience. Evangelistic Piano Style - Have you ever heard of Rudy Atwood and his famous evangelistic piano playing? In this lesson I will show you exactly how to do just that. Octave Exercises - In order to master evangelistic piano style, you will need to feel comfortable playing all kind of octaves (eighth, triplets, sixteenth, runs, etc). This is the lesson to equip you to be a master in octaves playing. Trust And Obey - Hear me explain how to arrange this hymn in a step-by-step approach. (Complete sheet music and lead sheet included in the binder). He Is Lord - Who else wants to play this hymn in a majestic way? I will show you exactly how to play this hymn using evangelistic style (complete sheet music and lead sheet included in the binder). Meditative/Prayer Piano Style - Ever wonder what to do when the church congregation is praying? This is the perfect style to master. It works. The course also comes with a binder (50 pages) that contains sheet music and lead sheet demo in the dvds. If you struggle with performance anxiety, you will need to check out my article on how to reduce performance anxiety in the binder. This course is suitable for intermediate to advanced piano players. "I Belong To The Advanced Player Group..But I Can Sure Make Good Use Of The Techniques"
I just received your recent hymn playing DVD yesterday and in 2 days time, I watched all 4 and thoroughly enjoyed them. I belong to the advanced player group as I have been playing in my church for 20 years, but I can sure make good use of some of the techniques you demonstrated in these courses! I want to commend you for preparing these music sheets for us. It is difficult to follow one's own improvisation. But it certainly helps learners to have music sheets in to follow because it makes it so much easier for us to translate exactly what we see in the video. 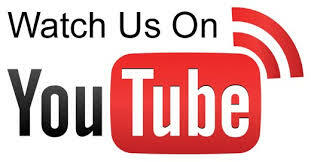 Navigate through 4 DVDs and 6 hours of instructions and tips. The DVDs are professionally edited by video company. It will play in any region. You may be wondering how much a valuable course like this would cost if you attended lessons. If you attend any private piano lesson you will pay an hourly rate that will range anywhere from $35-$75, depending on your geographical location. That's if you can find a teacher that specialize in teaching hymn's playing. A six hours private lesson can cause anywhere from $210 to $450. The cost does not include your gasoline, not to mention that most of that private piano lessons can never be retrieved or reviewed once the session is over. What makes this home study course unique is that all the materials are practical and have been tested. You may also review the materials as often as you want. You can go back and re-do any lesson you want, at any time, in the comfort of your own home! You can get this home study course for as little as $145, $99. These resources alone are worth the price of the course and will save you a bundle while building up your piano toolbox considerably. You can never find this kind of informative materials any where at this low price. If you are on a budget, we even offer a three monthly payment plan so that you can get this course for as little as $35/month. The extra bonuses will only be offered for a short time and I honestly dont know how long they will last. We only reserved 250 copies of the bonus materal to be included with the binder. The reason why you need to get your copy of this course today is simply this Without this vital knowledge, youre truly missing the boat on playing great hymns. Without this course you will always struggle with hymn playing. If you truly want to take your piano playing to the next level and improve on your hymn arrangement skill then order now . You simply cant pass this up. "30 Days Money Back Guarantee"
Because This Material Just Flat-Out Works! You Get Our No-Hassle Guarantee! If You Arent Delighted With This Home-Study Course, You Will Get A Prompt And Courteous Refund. 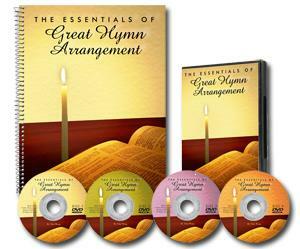 Grab Hymn Arrangement Course Now! "Step By Step Instruction In A Very Self Explanatory Lesson"
I received my course yesterday and have plugged it in and viewed the DVD. It is a most excellent course; step by step instruction in a very self explanatory lesson. Thank you very much for all of your effort and work. Please, let me know of other courses you may be working on in the near future! A New Piano Playing Experience Is Waiting For You! Imagine, in a few months, you will be playing your own hymn arrangements while your friends and family are spending the old time favorite hymns with you. P.S.How can you lose money? In fact, you've got nothing to lose except for missing out on how to arrange beautiful hymns. I've got you covered with my refund guarantee, so if it doesnt work out, you get a refund. "It Looks Excellent, And Already I Have Learned A Few Things...."
Thank you so much for the course! I have started in on it. Slowly, due to a crazy schedule. But so far it looks excellent, and already I have learned a few things about suspended chords and the triplets I have heard our church pianist play. I am grateful for the DVDs, because I need to hear these things over and over to understand and actually be able to do it myself. I love your majestic arrangement of Holy! Holy! Holy! I also appreciate the suggestions about performance anxiety. I've recently returned to studying the piano after a 22 year absence. I was pressed into playing for our church by our present pianist, but suffered such panic attacks! After several months, the Lord delivered me from those. "I Noticed How The Octave Exercises Have Really Helped My Finger Range.."
I have received the Hymn course and have worked through the first CD and part of the second. I found that adding the suspension and the triplets to "Holy Holy Holy"; to be quite a pleasurable; addition to my version of it. I love the course! Your piano playing is beautiful and I appreciate your comments about not being fearful of making mistakes. I noticed how the octave exercises have really helped my finger range-I have small fingers and this has extended my reach beautifully. I have already noticed that my hymns playing sounds better and I can't wait to introduce the congregation to the sound of that suspended 4th in "Holy Holy Holy"; -our usual processional. 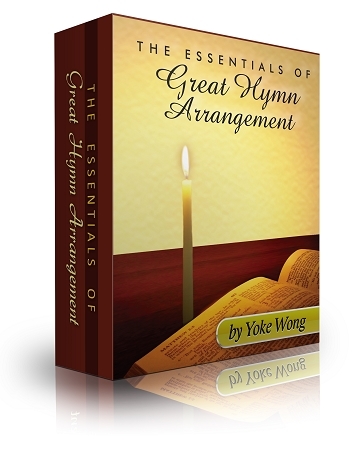 Still not convinced that the Essentials of Great Hymn Arrangements course is right for you?